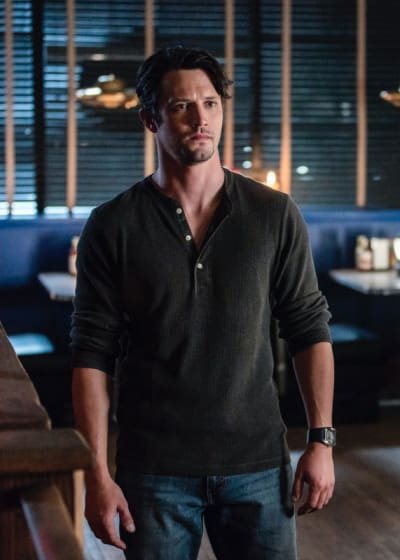 Home / TV / Roswell, New Mexico Season 1 Episode 4 Review: Where Have All The Cowboys Gone? 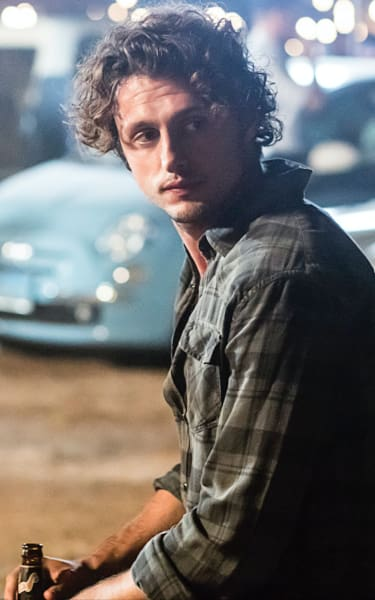 Roswell, New Mexico Season 1 Episode 4 Review: Where Have All The Cowboys Gone? Roswell, New Mexico Season 1 Episode 4 was another hour of this freshman drama that left me wanting more. The murder mystery has been one of the bright spots of this series, and the conclusion of “Where Have All The Cowboys Gone?” shocked me to the core. I did not expect Michael to reveal that he was the one who killed Rosa and the other girls. That came out of nowhere, and while I think it’s too easy to jump on the bandwagon and believe him, he must have been up to something on that fateful night. If you’ve been keeping up to speed, you know we’re being led to believe Michael is the product of growing up in loveless homes. We already knew that he didn’t find a family and that he was split up from Max and Liz. That’s why his reliance on alcohol, breaking the law and fighting with just about anyone who looks at him the wrong way made sense. With murder on the list, it could explain why there’s more to his pain than meets the eye. There has to be another reason for why Max and Isobel acted like there was nothing wrong with their brother being a part of killing those girls. My best theory here is that we’re going to learn that Michael accidentally ran them off the road and that the mark on Rosa’s face was his hand as he tried to bring her back from the dead. I refuse to believe there’s any other explanation because any of the other ones would make Michael a bad person. Also, Michael wanted to hand himself in. That suggests that he’s been wracked with guilt and is ready to put the entire chapter behind him. Offering to turn himself in to have a lifetime of misery was quite the surprise. Maybe we’re not getting the fourth alien thrown into the mix quite yet, and I’m all for it. What fascinated me the most about this installment was just how well the three aliens came together in the end. Despite their differences, they all managed to put these things behind them to recognize that a huge change was on the horizon and it was not going to benefit any of them. I’m glad Max recognized that he was party to blame. I’ll scream it from the rooftops if I have to. He’s blinded by his love for Liz that he thinks she can’t do anything wrong. That’s been his biggest flaw to date, and now that he’s starting to realize that, he might grow a backbone and stop dropping everything for someone who’s only going to be interested when she knows everything there is to know about Rosa’s death. In a sense, I can’t fault Liz here. She’s given Max ample opportunity to lift the lid on everything he knows, and he’s only been giving her answers when she finds something out herself. We’re supposed to hate Kyle in this scenario because he’s one of the characters getting in the way of the big love story at the center of the series, but he’s been surprisingly tolerable. I dare say his tryst with Liz was a lot more about his feelings towards her than his claim that it was recreational. Kyle looks at Liz a certain way, and it’s evident the show is gearing up for a love triangle. 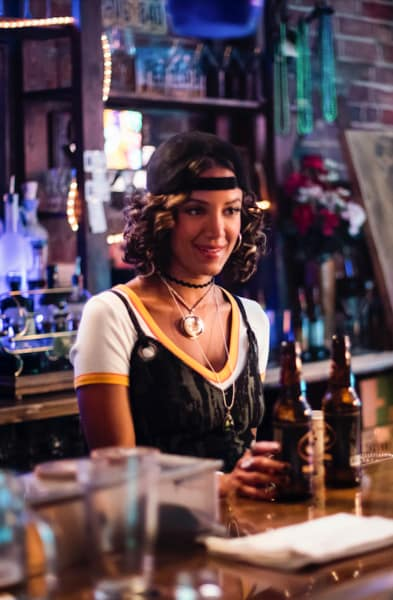 I’m not usually a fan of those, but Liz shares a lot of chemistry with both Kyle and Max, so at least the show has that going for it. The revelation that Rosa was very likely sleeping with Kyle’s father was a shocker. I thought for sure it was Kyle who was in the wrong when Liz matched up the handwriting. Now, all we need is some details about how it all started to find out what the heck was going on ten years ago. Then there’s Isobel. The character is going from strength to strength every episode. I can’t believe I thought she’d be the alien I liked the least when the series debuted. Her mind control arc elevated this hour to another level. The back and forth between her and Maria not only made me love both characters more, but it made me yearn for more scenes from them. Related: Mom Renewed for Two Seasons! I wonder if there was ever a point in which these two were friends, and they were driven apart by something out of their control. Maria’s hatred for Isobel seemed like it came from out of nowhere, so I would like that explored down the line. As for Jenna, I’m not sure I’ll care much about her if she sides with Jesse. Jenna’s scorned right now because of the way Max treated her after he ran off to chat with Liz. She’s probably easier to manipulate because her guard is down, and nothing good is going to come from her mingling with the likes of Jesse. That’s all I got, Roswell, New Mexico Fanatics! Did Michael kill the girls by accident, or is there something else going on here? Are you Team Kyle or Team Max? Roswell, New Mexico continues Tuesdays on The CW. 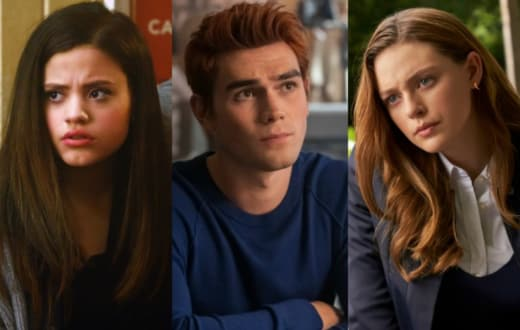 View Slideshow: The CW Renews 10 Dramas: Which Shows Missed the Cut?